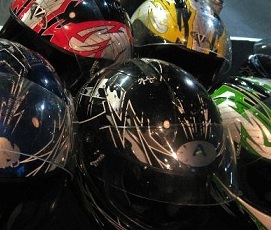 If you thought that outdoor go-karting would be a nice bit of fresh air and the chance to blow away the cobwebs from the night before then you really do have to think again. The indoor event may have been competitive but this is going to be even more so. Watch the most quiet and placid of your friends suddenly imagine they are Stirling Moss and want to take on all comers. When you book this, everything is included, so all you need to do is get up and appear at the hotel door ready to be collected by the guide who will take you there and bring you back. As you would expect all the safety equipment will be provided for you and the track time will have been booked, so there is no need to wait around until it becomes free. An instructor will be on hand to make sure that everyone knows what they are doing, and all have the chance to win. As you could visit at any time, this is available all year round and is an extremely popular event. Reputations can be made and lost once you all get behind the wheel of the go-kart. 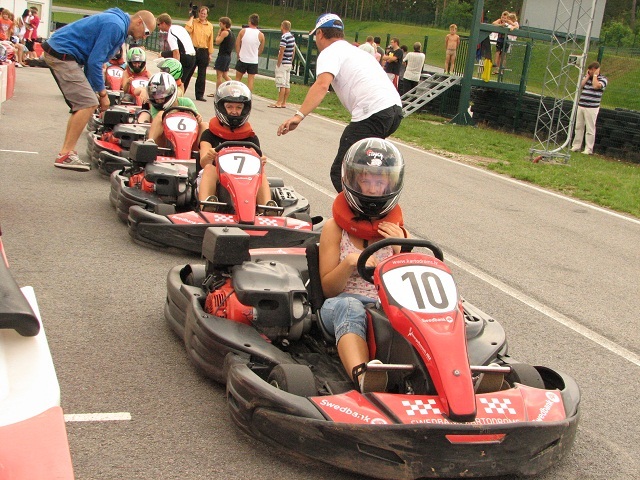 The track has the largest range of go-karts is Latvia, therefore the complex is a must visit for groups on any occasion. Initially the track was designed as a go-kart course, but has been adapted for many other motorsports later on. 4-stroke engines can be standard air-cooled industrial based engines, developing from about 5 to 20 hp, adequate for racing and fun kart applications. They run to and around 11,000 rpm, and are manufactured specifically for karting. All necessary equipement will be provided. Safety First! Transfers to and from the venue will be the last thing you will need to worry about as we have arranged them for you and included in the price!